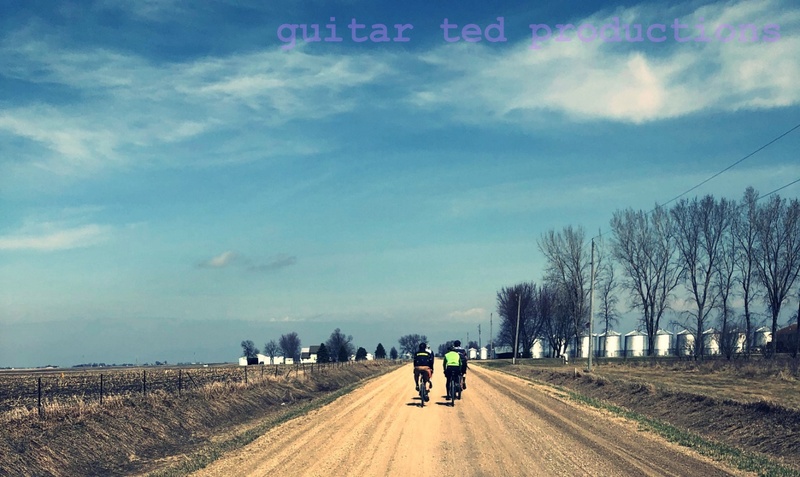 Guitar Ted Productions: Is A Gravelly Bubble About To Burst? Well, the "dust" has settled after Sea Otter and the overall vibe from the show was that gravel "everything" was front and center. Well, that and the so-called "e-bike". Funny...... I haven't seen much, if any press coverage on that though. Huang wrote in his Sea Otter coverage, "This is no fad; gravel bikes are clearly here to stay, and there’s a growing tidal wave of interest behind them." So, as he further went on to indicate, media outlets heavily weighted toward Pro road racing were now going to be covering gravel. And why wouldn't they? 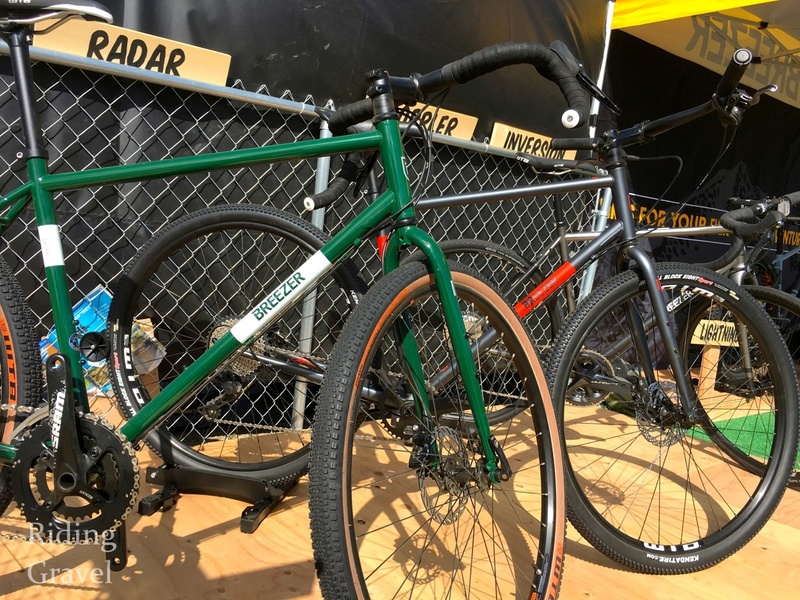 If consumer interests have swung over to doing gravel events, riding gravel, and especially when purchasing new gear related to gravel, then it only makes sense to, as they say, "follow the money". And who can blame these companies? Seriously, it is what you are supposed to do when in business- sell what the consumer wants. You may think that this whole "gravel" thing is all just "marketing". (Read- evil intentions of heartless corporations to bilk innocent people of their dollars for no good reason) That isn't how this is working at all. People are leaving the organized, licensed crit/road racing scene in the U.S. in droves. Just a few years ago, USAC, the sanctioning body for such road events, reported a precipitous drop in license sales and participation numbers in their events fell drastically. Sanctioned mountain bike racing has shown little to no growth for years. So where were all the people going? Were they quitting cycling altogether? Many did, but most went somewhere else, and by the numbers of events seen on gravel, it would be apparent that gravel/back road events are where people are spending their time and money. Of course the industry is going to chase that. You can only blame yourselves for this, cyclists. Stop doing gravel and the industry will drop gravel like a hot potato. But that said, has the industry gone too far with offerings for this niche segment of cycling, or will it continue to cannibalize mountain and road bike sales into the future? How does the electric motor figure into all of this? Hard to say. But one possibility here is troubling. That "bubble" burst in 2014 and sales of fat bikes, once a sure thing for Mid-Western shops, became a tough sell. Everyone that wanted one had one. Many companies have dropped fat bikes from their lines in the last few years or have severely curtailed their offerings. Fat bikes were once a runaway sales hit, and while they will never go away, it will never be like it was for three years or so there. One could argue that gravel-all road bikes are on the same trajectory. Companies with no background in "adventure" style bikes are now jumping in with both feet into this market. 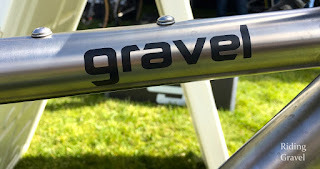 Mountain bike companies that never really pushed road anything have "gravel bikes" now. Get the picture here? It sounds a lot like the same song sung in 2011-2013 with fat bikes. My sincere hope is that road cycling just becomes "any road cycling". That the road racing style bikes be cornered into the niche place they belonged in all along- for the committed crit racer only. The "common road bike" going forward should be what we are calling "gravel bikes" now and that silly moniker- "gravel"- should just go away. The whole point, at least for me, was that a bike with capable tires and slacker geometry with fittings to promote versatility would become the de-facto choice for most cyclists all over the U.S.A. But the cycling industry and media keep getting caught up in traditional pigeon holes and in chasing trends so much that they cannot seem to see where this could go. That's the biggest problem I see. If it goes like it has been, I fully expect the bubble to pop, but it doesn't have to be that way. I think gravel bike sales will surge and fade. Long term the traditional road bike will remain the most popular non-hybrid/cruiser bike. The fact is many of the people buying those bikes are doing so because their main priority is speed. They may not be a racer, but they want to keep up on group rides or go faster solo. Some will buy gravel bikes instead for the added comfort or versatility, but many will look at those big tires and assume they are slow. The great majority of cyclists aren't well informed, so will be swayed by the marketing, which will target road racing. It would be interesting to consider the age of people in the various cycling “markets.” Are baby-boomers driving a particular share? Specifically of interest, and long-term, where are young people landing in the biking scene? Good food for thought, GT. I think the comparison to the Fat Bike bubble is reasonable to a point. 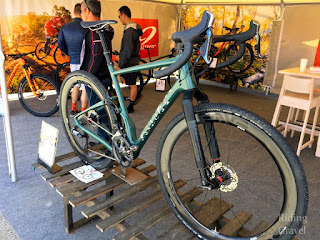 I do see a point where the rush to buy a gravel bike settles down a bit, but I don't think it will be a cliff edge like Fat Bikes were for one main reason...All Road or gravel bikes are practical bikes and a Fat Bike, outside of certain terrain or specific needs, is not. Out of their element they are pretty sucky and many lemmings found that out. Like me, for instance. I don't think that road bikes are much more 'dead' this year than they were before now, at least not at the higher end of things. I just bought a new road bike. It is endurance geo, disc, room for 32s (maybe), and carbon. It is too stiff for anything except the most casual dirt roads. I am running the WTB Exposure 30s at 50/55 PSI tubeless on 50mm deep carbon wheels. It is a fast bike. Fast. I want fast on the road and uphill PRs matter to me. No gravel bike I can think of, except maybe the Open Up, would do this for me. On gravel, i want a 40c+ tire and much different gearing. SO I think road at the upper end of the performance spectrum will hang as it is...flat sales, but steady. However at the mid point and below, that is where an 'all road' bike will cut into something like the sales of a cheaper Roubaix. Because I think, for most buyers of a 'road bike', that they are better served with a bugger tire, like 32-38c, and even steel over carbon. Maybe aluminum of course. And I still think Gravel Bike is a good term. All Road is catching on though; it just sounds so generic to me and is a bit disingenuous. There are lots of 'roads' that no All Road bike would enjoy. I just can’t get over that instinctual aversion to run high-end, super expensive gear on gravel. And I would venture to say that there are many out there like me.